The plan was to go to Mall of America. There was one issue at hand, though. There was supposed to be a wicked winter storm that was going to hit Central Wisconsin. 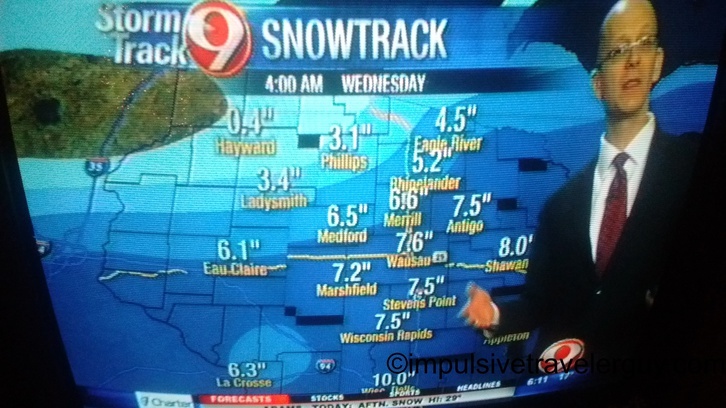 Below was the anticipated snow fall predictions the night before. By morning, those predictions had increased. Now in Wisconsin, the weather systems are somewhat predictable. They usually develop in the Dakotas and then move east. Because Mall of America is west of Central Wisconsin, the storms would hit there first. We decided to go and keep an eye on the weather so we could beat the storm. Basically, if it started to storm in the Twin Cities, we knew we had to make our way back right away. 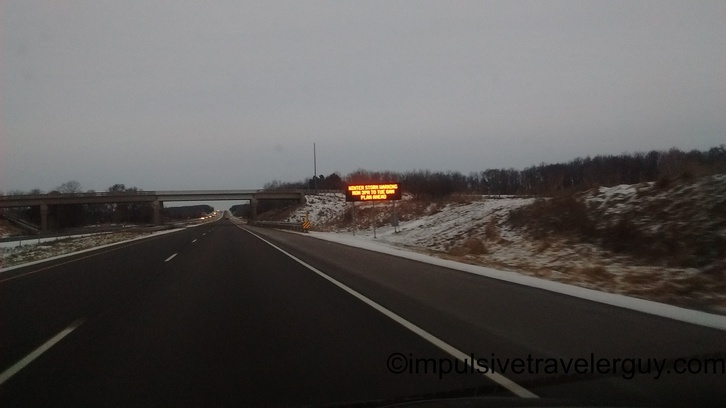 On the way to Mall of America, there were already warnings of the upcoming storm. They already had trucks out salting the roads to get ready. The trip to Mall of America was fun. I noticed it was not snowing yet and we had a few hours before it would, according to my weather app. 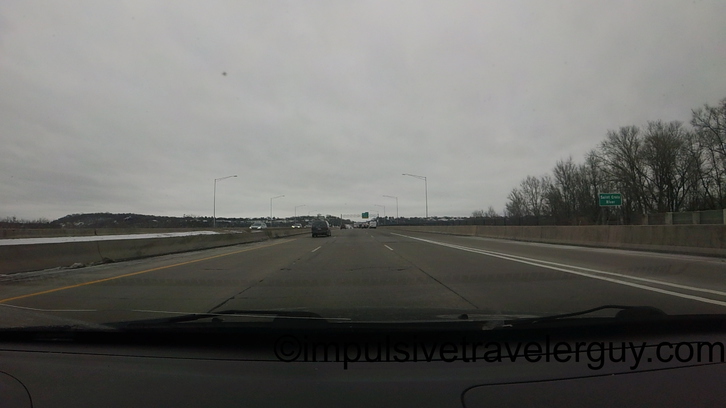 I decided to drive to downtown Minneapolis and St. Paul. After that drive, I decided it was time to drive back. 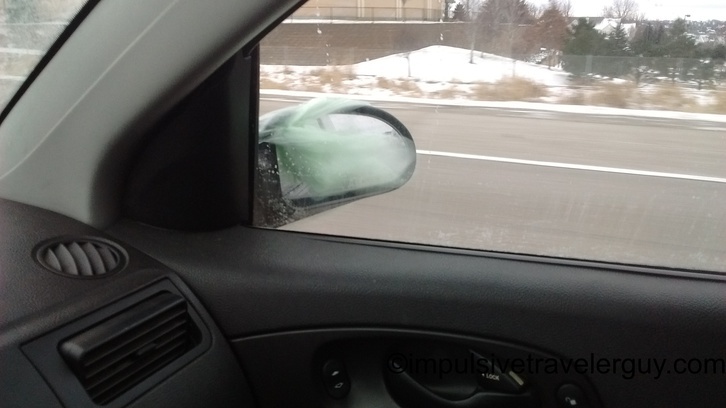 On the drive back, a plastic bag landed perfectly on my mirror and stuck for many miles. For a good chunk of the ride, the roads were not too bad. When I hit Colby and started driving Highway 13 towards Marshfield, that changed fast. 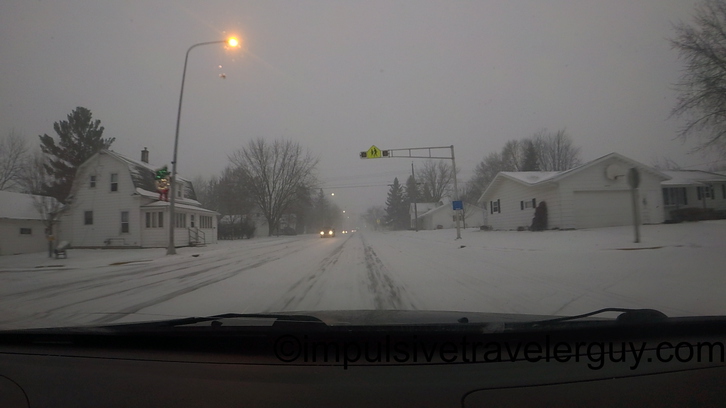 By the time I hit Spencer, the snow that was not drifting was collecting pretty good on the road. In Marshfield, it was bad too. Out in the country near my parent’s house, the roads got even worse. For the most part, we did beat the storm back from Mall of America. 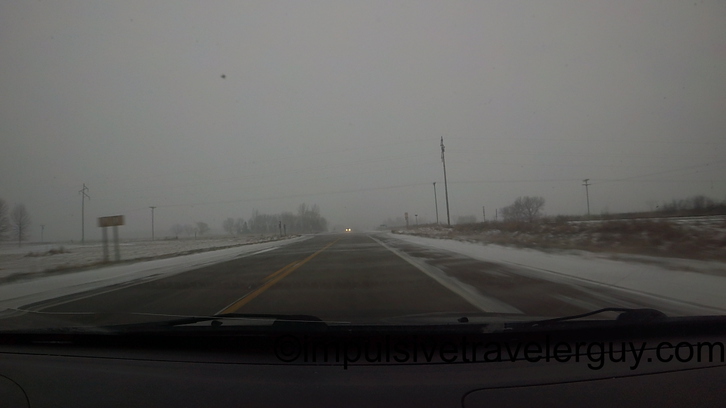 It was only the last leg of the drive when we go off of Highway 29 in Colby that it started to get bad. 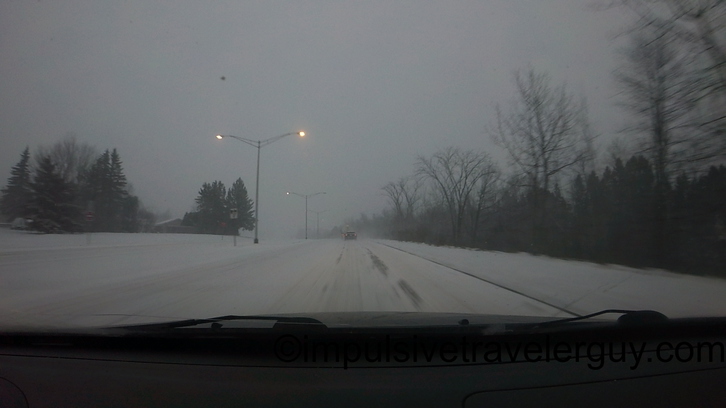 The conditions were probably a bit worse than the last leg of my drive to Copper Harbor. From there, it got really bad fast. I was tempted to go play around in it later that night but decided against that. We definitely did get a lot of snow from that storm!